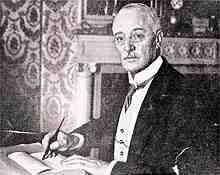 Rudolf Diesel (1858-1913) patented the Diesel engine in 1892. The premise was to create an engine for farm applications that could be run on fuel made by the farmer. It ran on 100% peanut oil but could also run on any similar oil: corn, sunflower, rapeseed, even lard. While teaching sustainability, renewable energy and social responsibility, great emphasis was put into acquiring knowledge beyond the textbooks in these areas. One of the outstanding experiences was the visit to a palm oil mill in the heart of Borneo.